Mommy, What’s a Polar Bear? MWAPB? takes place in a world where polars bears have gone extinct, standing among the ranks of other fictional creatures like unicorns, elves and dragons. Climate Communicators offered services in narrative development and provided pedagogical support by adding an educational component to the book. Zero Hour creates entry points, training, and resources for young activists and organizers wanting to take action around climate change. Climate Communicators provides communications support for the social media and advocacy teams. IFLA! 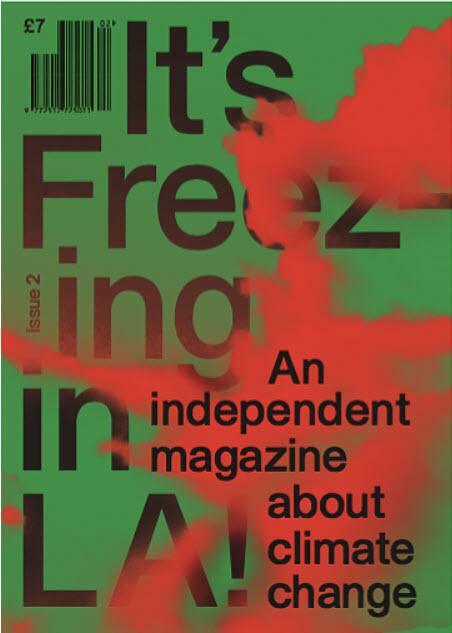 is a new UK-based magazine inviting writers and illustrators from a variety of fields to offer their perspective on climate change. Climate Communicators is helping expand the magazine’s exposure and support to the United States.